Prior to the introduction of DOACs, the standard of care for treatment of acute VTE was treatment with a vitamin K antagonist (VKA, e.g. warfarin) bridged with LMWH. 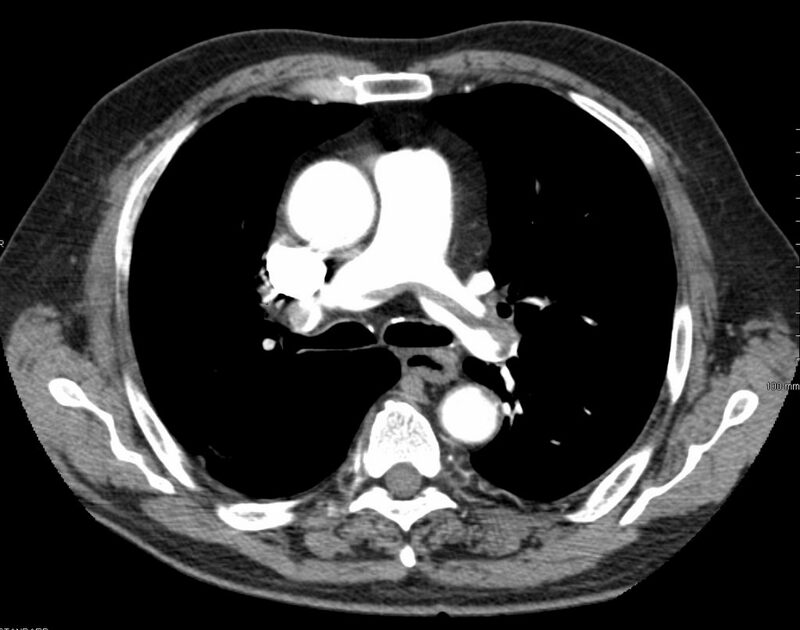 In 2010, the EINSTEIN-DVT study demonstrated the non-inferiority of rivaroxaban (Xarelto) versus VKA with an enoxaparin bridge in patients with acute DVT in the prevention of recurrent VTE. Subsequently, in this 2012 study, EINSTEIN-PE, the EINSTEIN investigators examined the potential role for rivaroxaban in the treatment of acute PE. 4833 patients were randomized. In the conventional-therapy group, the INR was in the therapeutic range 62.7% of the time. Symptomatic recurrent VTE occurred in 2.1% of patients in the rivaroxaban group and 1.8% of patients in the conventional-therapy group (HR 1.12, 95% CI 0.75–1.68, p = 0.003 for noninferiority). The p value for superiority of conventional therapy over rivaroxaban was 0.57. A first episode of “clinically relevant bleeding” occurred in 10.3% of the rivaroxaban group versus 11.4% of the conventional-therapy group (HR 0.90, 95% CI 0.76-1.07, p = 0.23). In a large, open-label RCT, rivaroxaban was shown to be noninferior to standard therapy with a VKA + enoxaparin bridge in the treatment of acute PE. This was the first major RCT to demonstrate the safety and efficacy of a DOAC in the treatment of PE and led to FDA approval of rivaroxaban for the treatment of PE that same year. The following year, the AMPLIFY trial demonstrated that apixaban was noninferior to VKA + LMWH bridge in the prevention of recurrent VTE, and apixaban was also approved by the FDA for the treatment of PE. The 2016 Chest guidelines for Antithrombotic Therapy for VTE Disease recommend the DOACs rivaroxaban, apixaban, dabigatran, or edoxaban over VKA therapy in VTE not associated with cancer. In cancer-associated VTE, LMWH remains the recommended initial agent. (See the Week 10 – CLOT post.) As noted previously, a study earlier this year in NEJM demonstrated the noninferiority of edoxaban over LMWH in the treatment of cancer-associated VTE.